The perfect way to display your finished needlework. Our traditional hardwood furniture is craftsman made in England. We have a small range of stock items but pieces can be made to order to fit your tapestry. A wide range of woods and finishes are available to choose from. Please contact us for details. Unfortunately. due to the high cost of international postage we can only supply furniture to UK customers. 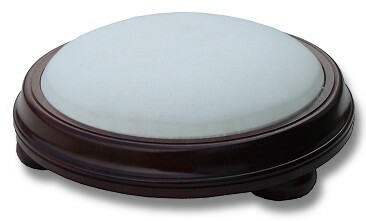 A traditional turned round stool, 14" diameter and 5" high. Fits a tapestry 12½" diameter. 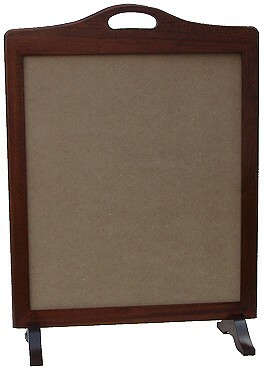 A firescreen with full width solid handle, 28" high and 21" wide. Fits a tapestry 21" x 18". 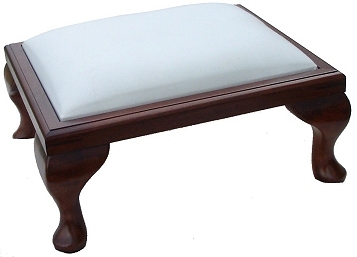 A traditional footstool with Queen Anne style legs, 18" wide x 15" deep x 9" high. It will fit a tapestry 16" x 13".